HomeSupporting the IBCCWho Will You Honour? Since 1945 the brave men and women who gave their lives whilst in the service of Bomber Command, to protect our country have been largely ignored and forgotten by successive governments. It is now time to make that right. 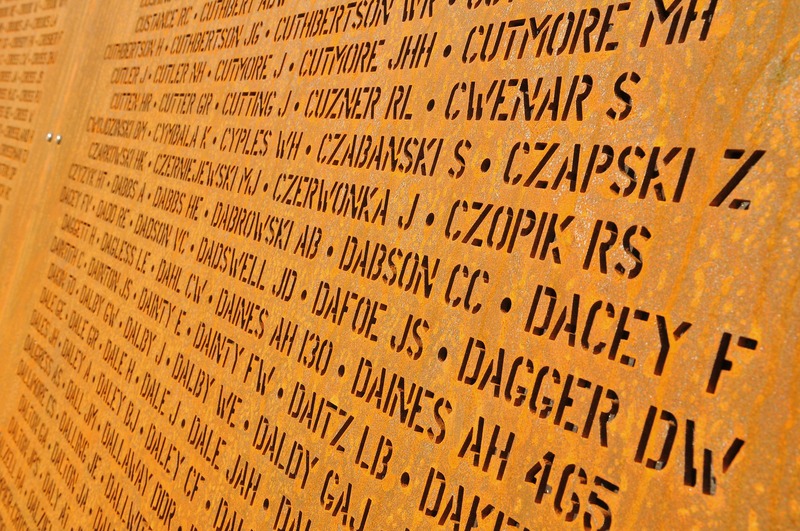 The International Bomber Command Centre (IBCC), in the heart of “Bomber County” has been working for the last 5 years to try to redress this issue and by October this year will have all 57,871 names of those lost, inscribed into the walls surrounding the Memorial Spire. Extensive research involving over a 100 people has discovered not only all the names but has been able to identify information on each of the young volunteers, totalling over 2.7 million individual pieces of data. The IBCC, which is owned by the charity, Lincolnshire Bomber Command Memorial Trust, is also honouring the service of all those who survived by telling their stories, through state of the art exhibitions and an education facility. Your donation will not only help to honour an individual but will ensure that the legacy of the whole of Bomber Command’s service is recognised and remembered. Will you help us by honouring one of these brave men and women? Your name will be recognised on the free-to-access losses database entry for that person. That name will then be included in the annual Remembrance Day Poppy Laying ceremony at the Centre, ensuring that even if you are not able to attend, your individual will be honoured. If you are a taxpayer, please consider applying Gift Aid to the donation. This helps the charity increase the value of its donation income.